Ed Stafford is a 43-year-old explorer and adventurer, a former British Army captain and security consultant in Afghanistan. In 2010 he became the first person to walk the entire length of the Amazon river, a gruelling trip that took him more than two years. Since then he’s made many adventure TV programmes, mostly for the Discovery Channel, starting with Ed Stafford: Naked and Marooned, in which he was dropped on to an uninhabited tropical island without food, clothes or equipment to survive for 60 days. He’s tough. And quite keen on self-sufficiency. 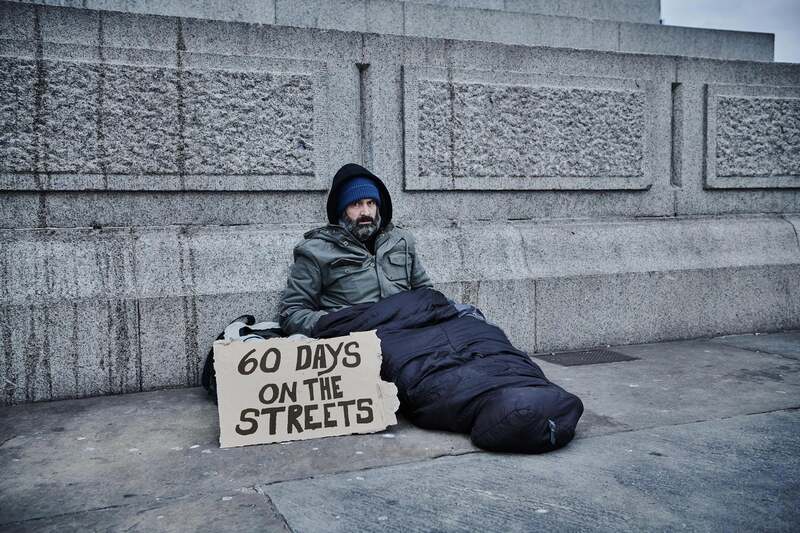 For 60 Days on the Streets, Stafford spent two months this winter living rough in Manchester (tonight’s episode), London and Glasgow, filming himself on a phone and also being tracked from a distance by a camera crew. 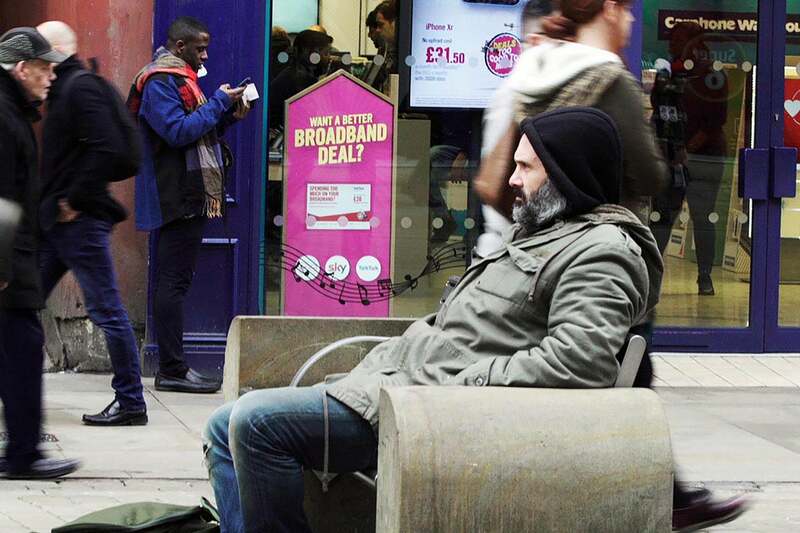 He sports a grizzly beard, wears a parka, boots and torn trousers and generally looks pretty derelict, although you’re constantly aware that actually he’s physically competent in a way that the homeless people he meets are not. Stafford starts off in Piccadilly Gardens, where spice addicts stand drooping like zombies and vicious fights keep breaking out between the rough sleepers. He meets a friendly alcoholic called Mark who he hopes will show him the ropes — but soon realises he’ll do better without him. Next he meets druggie Dina, who has built herself a shelter right up against a temporary police station, near a 24-hour Burger King. “I’ve got six children, God bless ’em — it’s heartbreaking, I can’t bring my kids here,” she says. He wants to find somebody in this life to admire though, and he picks 26-year-old Geoff, who “seems to be working hard to get a roof over his head”, begging industriously and even appearing to be sober. “You come across as quite an educated person,” Stafford remarks and Geoff winningly replies that he’s always been “a massive bibliophile”. Stafford tells us he feels for Geoff, “a compos mentis, intelligent person, who could easily be my friend. He’s fallen through the cracks — it beggars belief.” But a night following him around changes his perception. Stafford, who wants so much to see the best in Geoff, is disillusioned. Tough conditions he can take, hopeless people not so much. It’s the absence of any wish to escape their situation among the street people that shocks him most, the lack of any ambition to do better. Going among the rough sleepers isn’t quite right for an upbeat adventure challenge after all: the format’s a mash-up. In a subsequent interview Stafford has said that the experience has made him cynical and he wouldn’t give directly to homeless people any more. You may well feel the same after watching this.